Happy day to everyone. 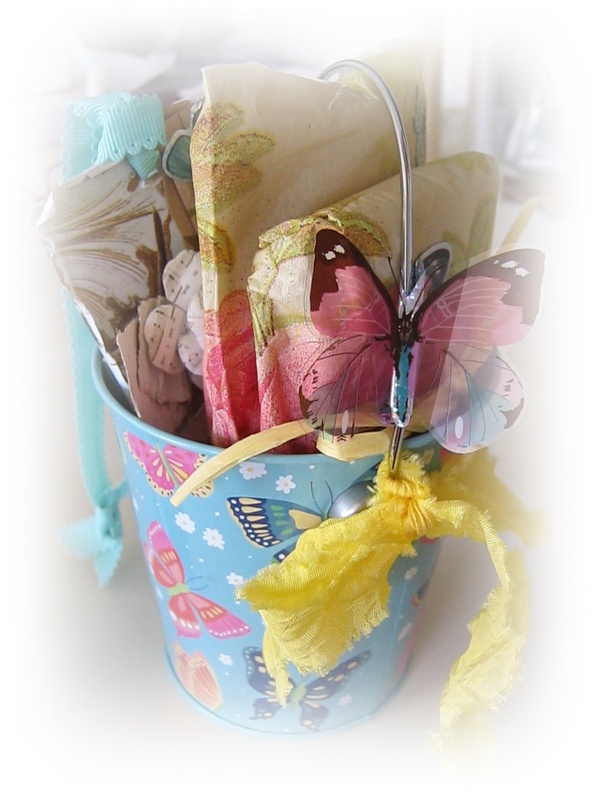 I’m excited to see you today, and to share the pretty pail gift idea I’ve prepared for a friend. If you remember in my last post, where I shared her decorated birthday tag, I mentioned that she loves butterflies – so, I decided to make that the theme. When I found this delightful small metal pail at the dollar store, I knew it would make the perfectly fun and creative receptacle for her gift items. 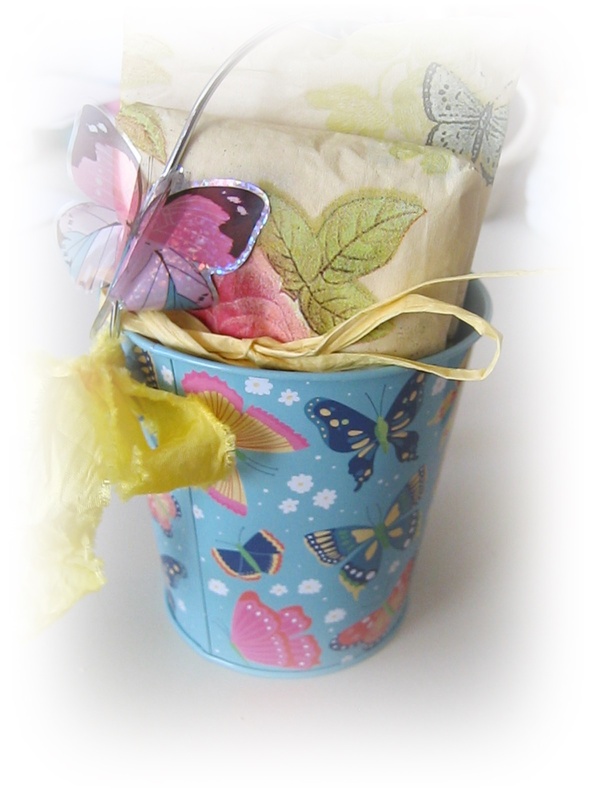 A crinkled yellow bow and dimensional butterfly top it all off. You can see the handmade tag tucked in. 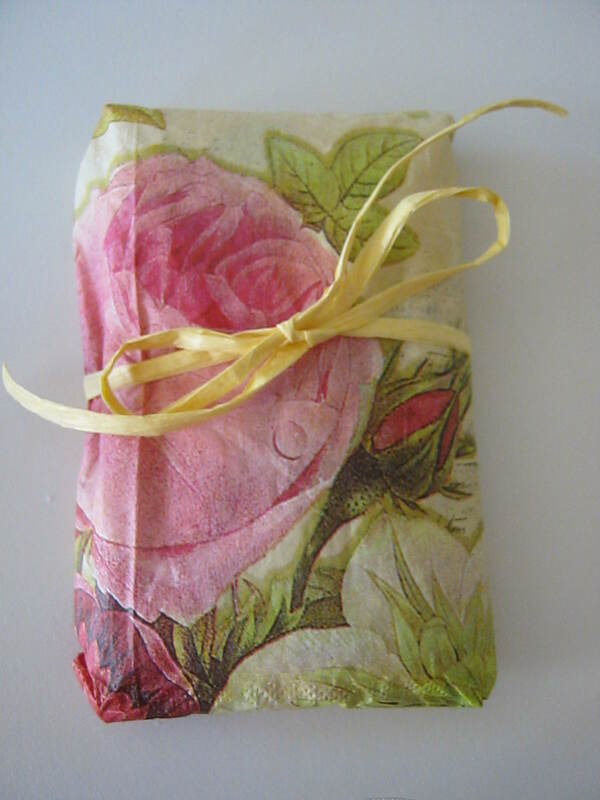 I wrapped some of the items in decorated napkins. Give someone a gift today. It doesn’t matter how little or big it is – a smile, a kind word, a compliment, something you bought with them in mind – it only matters that it comes from your heart. If you open your heart, God will guide you to a variety of ways you can create a smile. Sow delightful seeds of joy in someone’s life and you will have a big harvest in yours.